If you used to be a soda drinker, you probably still miss that sweet, carbonated taste. But there are few things worse for you than drinking pure sugar! Especially if you’re trying to lose weight. 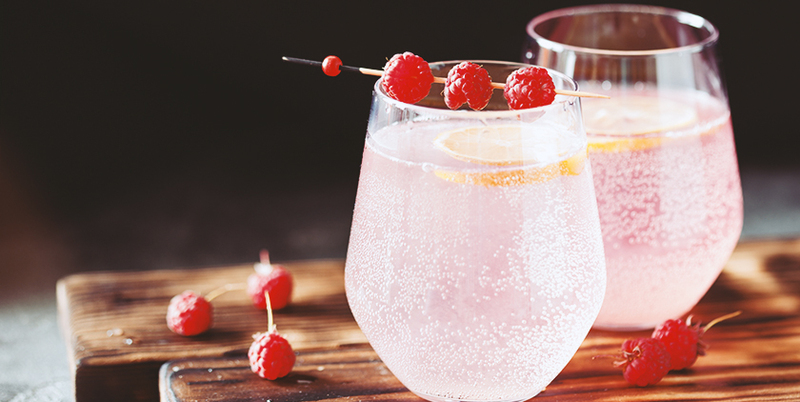 This sparkling raspberry BCAA recipe is the solution you’ve been searching for. Sweet enough to curb your cravings, but with benefits that will actually help you reach your goals! Sip on this bubbly beverage any time you crave a soda: with meals, at night as you watch a movie, or anywhere in between! It’s also great as a post-workout treat thanks to the recovery and muscle-building benefits of BCAAs. Place raspberries, lemon juice and Best BCAA™ into a blender. Blend until smooth. Place a fine sieve over one of the drinking glasses. Pour ¼ of the mixture through to remove the seeds. Continue with the other three glasses. Add ice to all four glasses.